The First MicroFinanceBank of Afghanistan is the country's largest provider of microfinance services for small businesses and households, with over 48,000 borrowers and 56,000 savers in 14 provinces and a portfolio of US$ 63 million. In Qeshlaq-i-Baikh, Afghanistan, women are responsible for looking after the melon fields. AKAM provides funds for the purchase of critical inputs such as seeds and fertilizers. Even very basic-added activities such as manufacturing doors and window frames in Afghanistan can be very profitable enterprises for people with the right skills. A baker from Pul-i-Khumri is happy to be able to set up his business, thanks to a small loan from AKFED. 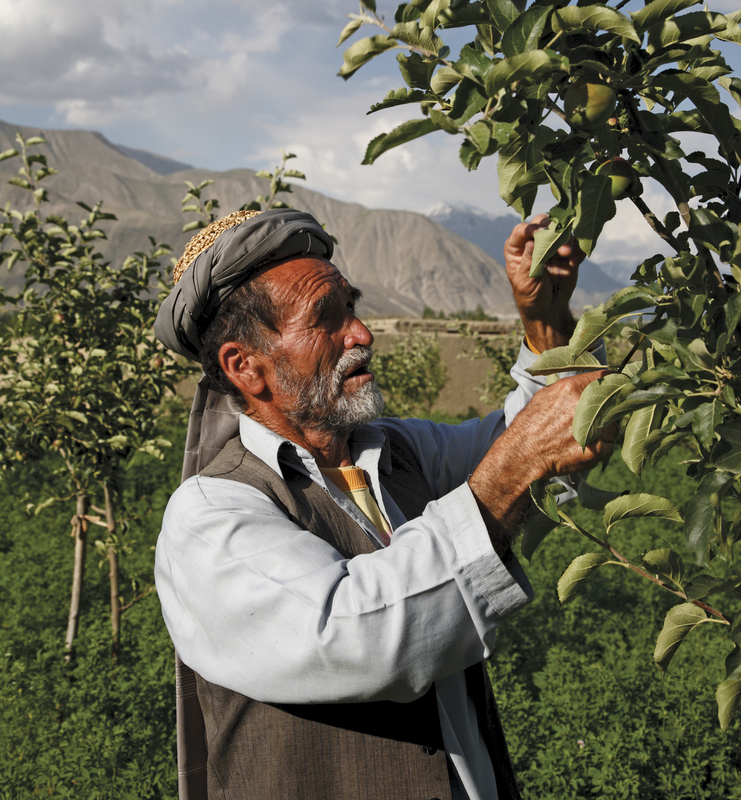 A former opium poppy farmer now grows fruit trees for commercial sale. Enterprise loans constitute about 40 percent of FMFB Afghanistan’s portfolio. The microfinance sector only reaches about 227,000 borrowers in the country, less than 1 percent of the adult population. AKDN established microcredit programmes as early as 2002. In 2004, it launched First MicrofinanceBank, the first of its kind under the country’s new regulatory structure. AKDN has pioneered the provision of innovative and flexible microfinance products in the country, which play an important role in driving economic development in rural areas. Although it has witnessed exponential growth in its economy since 2002, Afghanistan remains one of the world’s poorest countries. It was ranked 169 out of 188 countries in the Human Development Index in 2015. N early 36 percent of its population lives below the national poverty line. The country’s financial sector is largely underserved, with only 10 percent of adults holding an account at a formal financial institution and seven percent having a loan. While the country remains dependent on international assistance, NGOs have withdrawn amid a deteriorating security situation, especially in remote areas. With the support of donors and partners, more than US$ 1 billion has been channeled through the AKDN for Afghanistan’s reconstruction. AKDN’s programmes include large-scale rural development; health, education and civil society programmes; microfinance services; the rehabilitation of historic neighbourhoods in Kabul and Herat; a rapidly growing mobile phone network; and the renovation of a five-star hotel in Kabul. AKDN’s microfinance services includes the First MicrofinanceBank of Afghanistan (FMFB-A), which helps Afghans by offering a broad range of services while actively engaging in research, product development and innovation that helps increase access to financial services. Afghanistan was the first country in which AKAM developed SME finance products, supported by a partial guarantee fund from DEG – Deutsche Investitions- und Entwicklungsgesellschaft. With support from the IFC and USAID, FMFB-A also developed a housing microfinance loan product with integrated construction advisor services to promote better-quality construction, including seismic retrofitting, energy efficiency, sanitation and proper ventilation. This experience is part of a toolkit that has been developed by IFC to help other MFIs across the region. The Bank is the largest provider of financial services for micro and small businesses and households, with over 58,000 borrowers in 14 provinces and a portfolio exceeding US$ 72 million, including around US$ 13 million for small and medium enterprises. Since inception the Bank has disbursed more than 750,000 loans, with a total value of around US$ .5 billion . The Bank also provides financial services to more than 206,000 individual depositors. These activities are supported by multiple partnerships, including cooperation with MISFA, a governmental organisation, USAID, IFAD, the Ministry of Agriculture, KfW, IFC, and the U.S. Department of State. Currently, enterprise loans constitute about 35 percent of the total portfolio value, followed by agricultural loans at 27 percent, SME loans at 18 percent and housing loans at 16 percent. Already a major provider of agriculture loans, which represent one-third of its portfolio, FMFB is in the process of launching new products in the agricultural value chain in the predominantly rural country in order to integrate the various players – input suppliers, implementing partners, and institutional buyers – for the purpose of improving trust, quality and stable supply and demand. FMFB is also the only MFI offering housing loans. In 2017, FMFB-A opened the country’s first women-only branch served and supervised by 21 all-women staff. 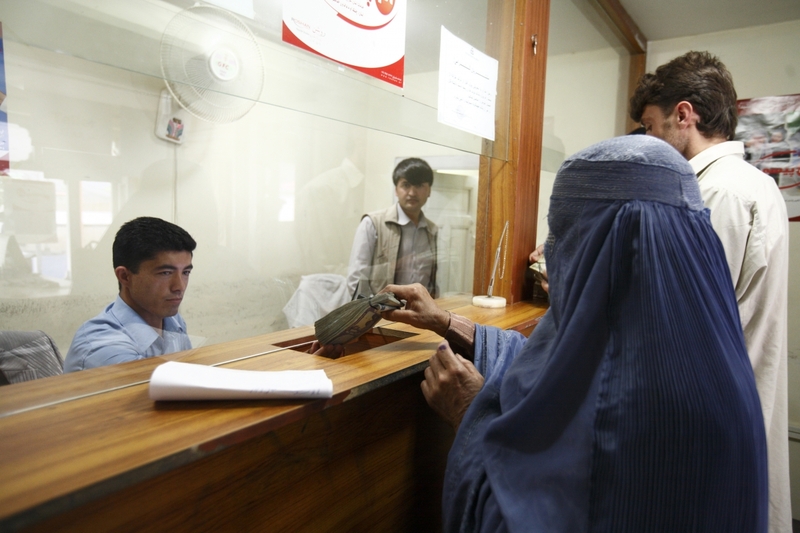 The branch caters only to women customers, which allows Afghan women to manage their finances in a safe and facilitating environment, thereby overcoming social and cultural hurdles to their economic empowerment. In order to address the security risks and the remote location of many clients, FMFB is pursuing mobile banking initiatives that are financially accessible, overcome connectivity and service issues, and have low operational costs. Other projects to expand reach include developing a dedicated livestock loan product, the introduction of ATMs, international remittance and deposit services, an educational loan product, and SMS banking, as well as opening new branches in commercial areas.